We want to invite you for another imagined trip with our airy-fairy guide. This time it’s a weekend in marvelous city Lodz. 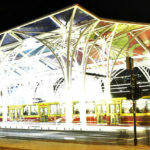 We hope that it will help you to choose Lodz as the another city you’ll visit. Good afternoon! How was your flight? This is Lodz Wladyslaw Reymont Airport, the first point of your weekend here. 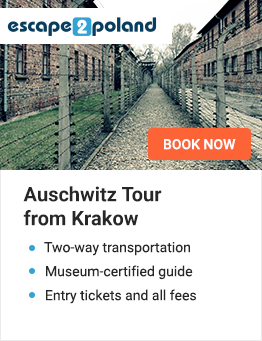 Now you’ll be transferred to the hotel and when you’ll be ready, we will go to Piotrkowska Street. 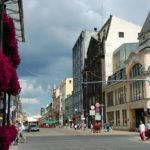 Piotrkowska street is a main street and the city center of Lodz. It’s hard to believe but just 150 years ago, it was only a road through the wilderness. 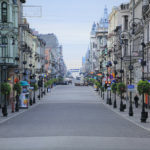 Currently almost everyone in Poland heard about Piotrkowska street in Lodz. The first thing I would like to show you is Gallery of Great Lodz Inhabitants. Don’t you think that was really great idea to create this place in such form? It’s much more interesting than traditional statues. If you want ou can sit here and I’ll make you a photo with Julian Tuwim. Did you hear about him? Yes, he was one of our famous poets. He is well-known of poems for children, but believe me, he was writing also other things about politics etc. and they was adult only. In Piotrkowska street we have also an alley of stars. You don’t have to go to Hollywood anymore. This city is very appropriate for such alley because it’s the capital of Polish cinema. 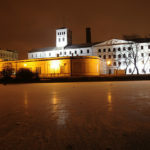 The famous National Film School is placed exactly in Lodz. The evening is falling so we leave the rest for more tomorrow but today I recommend you to visit one of pubs or cafes in this area. I bet that this places will provide very pleasant evening. Have a good time and see you in the morning. Good morning! Hope you rest because today I would like to show you all of the most important sights in Lodz. We will start from the area of Piotrkowska street where almost all of them are situated. The first amazing sight is White Factory. No, I didn’t make a mistake. It’s not a palace or manor but one of the most important textiles factories in Poland. Yes, I was also surprised when I saw it first time. Amazing white front elevation doesn’t fit to a factory. Inside it you can admire an exhibition of Central Museum of Textiles. You have to know that textiles was the main branch of industrial in Poland in 19th century. There was a three Cotton Kings – Polish Jews who earned amazing fortunes on a cotton production. The next sight we’ll see is a palace of one of them – Israel Poznanski. In the beginning it was only a modest tenement house but when Israel Poznanski bought it in 1877 it started to grow. There is a funny story about it. The architect who was working for Poznanski asked him in which architecture style he should project the interiors. Surprised owner answered “In everyone! I stand on all!” Thank to extravagance of Israel Poznanski nowadays we can admire a great mixture of neoclassicism and neobaroque. Inside the palace there is a Museum of Lodz History. Before lunch I would like to show you one more thing – Arch-see of St. Stanislaw Kostka. This amazing monument is the highest building in Lodz and one of the biggest churches in Poland. Interior is very strict, but it’s only punctuating monumentality of this cathedral. For lunch we’ll go to Bacowka restaurant which is situated next to Rudzka Mountain. There you’ll be able to taste delicious dishes of mountaineers cuisine. Enjoy your meal and prepare for another attractions because later I’ll show you a piece of winter in the middle of spring. Rudzka Mountain is partly artificial hill. This is a great place for bike rides and during the winter you can also try here ski jumping. Ski jump is only 15 meters long, so even amateurs can try to jump here without fear. I thing that the biggest attraction of this hill is a sled track. It is open all year long, so if you want to try, feel free. Sledge can reach the speed of 50 km/h and believe me this is great fun for both children and adults. 10 thousand cans of paint! The last sight we’ll see today is something totally unique. The biggest graffiti in the World! It’s made by group of artists called Design Futura, they used over 10 thousand cans of paint to make it. The work went to the Guinness Book of Records. This is not the end of the day. 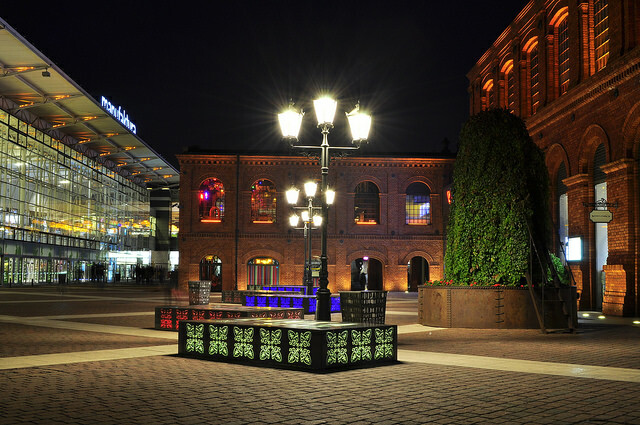 Lodz has great nightlife offer. Feel free to visit some pub or club and get some fun. I’m sure, you won’t regret it. 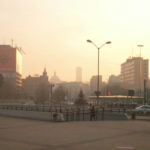 I recommend you to look around in area of Piotrkowska Street. You’ll surely find something suitable. Have a nice evening! Hello! I hope you liked Your yesterday’s clubbing. Unfortunately this is the last few hours before you go back home. We can go to the Freedom Plaza. You’ll be able to admire marvelous monument of Tadeusz Kosciusko. 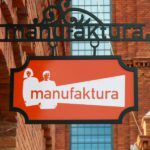 If you want to make some shopping the best idea is visit in Manufaktura Shopping Center. This is one of the biggest shopping galleries in Europe. You can find there almost everything. I believe that you liked your visit in Lodz. There are many more interesting things to see and do here, but unfortunately we haven’t got enough time. Maybe next time I’ll show you more. Now I want to wish you safe flight. See you next time!